JONATHAN: In your final few episodes, you invited your friends, your “network” (including me!) to appear in brief cameos. In fact, you’ve had numerous show-runners and actors from other fan series make brief appearances, including Nick Cook of Intrepid, Robin Hiert of Dark Armada, George Beau Kayaian from Antyllus…the list is ridiculously huge! You even feature ALEC PETERS of AXANAR doing a voice-over as Captain Garth in your final episode. 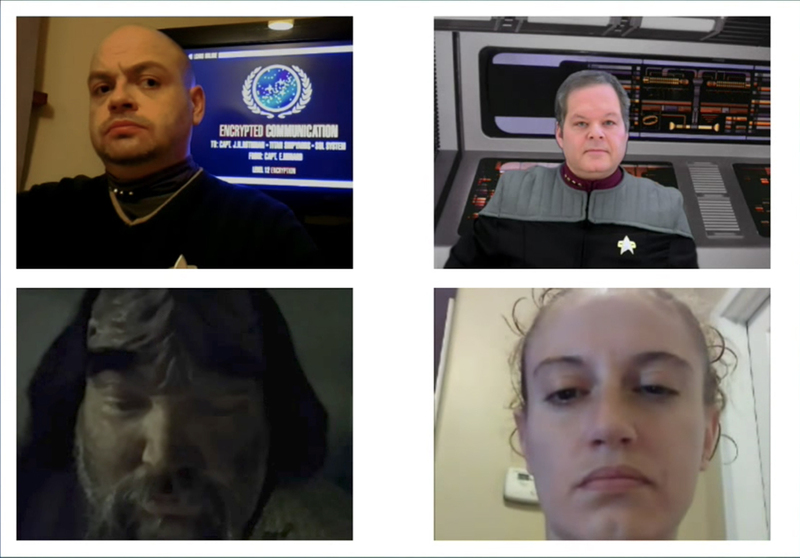 What made you decide to include these cameos…and are you worried that featuring Alec might make your final episode “controversial” and invite jeers from Axanar detractors? VANCE: I don’t think so. First off, not many people watch the stuff I’ve done, and I kinda like it that way! <LOL> I enjoy comments from my friends on the videos, but the views never really mattered to me. It’s quality over quantity to me. So I honestly am not on people’s radar as much as some might think. As for cameos, I’ve always had a certain amount of guests in regards to having my friends pop in, as long as it fit the story. You were a huge example of that, Jonathan…James Hams as well. I’ve been friends with so many people in the fan film community for years now, and I’m pretty open on most things. And I get a kick out of having you and James in the same scene together. “Bitter enemies” but they are in the same scene together. JONATHAN: Hmmmm, I’m not sure I’d call James and me “bitter enemies.” We’ve disagreed on things—sometimes passionately—but we mostly just stay out of each other’s way. VANCE: Well, even so, in my mind (if only there), that perfectly symbolizes what I feel I’ve brought to the fan film community, which is a bit of a “lets get along” mentality. It doesn’t always work, but it’s served me well, and its usually how I am. As for working with Alec, some people won’t like it, but I honestly don’t care. I’ve got 30-plus fan films under my belt, told some good stories, worked with some talented people, and just proved the naysayers wrong about me on a professional and personal level. I’ve got nothing left to prove. I offered Alec the voice over because he has, on more than one occasion, shared my films and been very supportive. I offered, and thought, “Worst case scenario, he says no. No harm no fowl.” But he said yes. So I gave him what I felt was proper. I don’t think it’s any more special treatment than I give anyone else because the story isn’t about him. But I’d be lying if I said I wasn’t happy about having him in the film. We’ve talked quite a few times, and I’ve got an open invitation to come to his studio. That’s not something I take lightly. Maybe everyone has the same invitation…I don’t know; I don’t really pay much attention online. JONATHAN: Yeah, he pretty much invites everyone to the studio. The bridge set is amazing; you should go! VANCE: I’d love to see it. Anyway, in regards to filming, the past is not the issue here, and I did the same thing I did with you and had Alec’s cameo shared with someone from the “other” side…again, because I AM friends with both sides and I am very proud of that. Alec has personally defended me when he didn’t have to, and when he didn’t know I was watching. I have “friends” who don’t even do that. So, it was my pleasure to have him in my film. Some won’t like it, and I’m okay with that. I may not “stand with Axanar,” but I’ll gladly give a small cameo to a guy who has proven to be a friend if I need. And I “stand” by that. JONATHAN: What have you found most rewarding about your experiences making fan films? What has been most troubling to you personally? 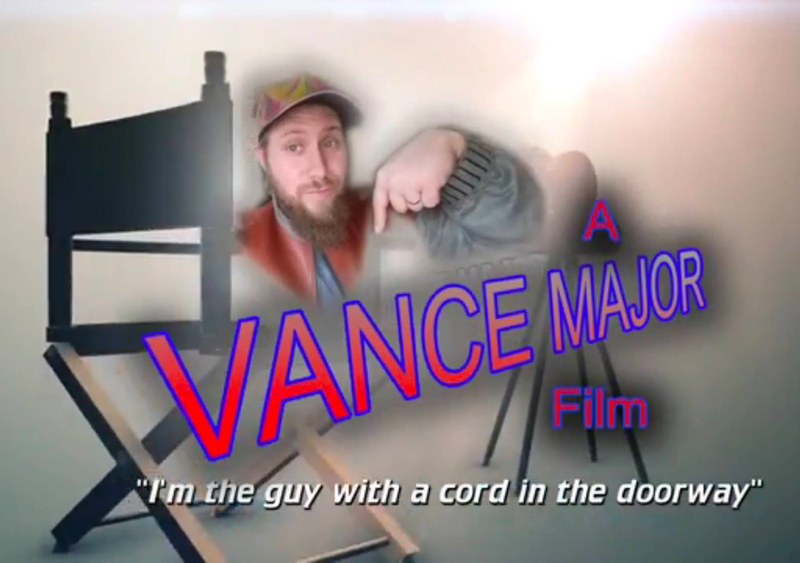 VANCE: The thing I personally love about making fan films is that I’ve been able to help others go forward with their goals in life…from aspiring directors to aspiring actors, that’s a very unique place to be. None of this has been about me. This has all been about elevating others to reach their dreams and potential. And it’s such a blessing because you never know if that young person will be the next Spielberg. But to have a hand in helping, that’s been very much worth it. So many out there are too consumed about having the best product, and I am more concerned about having a great experience for all involved. I think everyone leaves pretty happy! The thing I really dislike most about fan films, however, has got to be the backbiting and the gossip. If people would get out of the way of their own egos and look to making everyone on equal footing, we’d all be more appealing. But everyone wants to have the last word and slander others needlessly. I really hate that. It still boggles my mind that it’s been said I make Star Trek films to bash Christians. VANCE: Yeah, that actually happened! That’s the most idiotic thing you could say, but people will say anything to stir drama, and that’s very telling of the person. But no, you won’t find any Christian-bashing in my films, A few things you WILL find, if you take the time to watch them, are Captain Pike, Dr. McCoy (Prime universe and Kelvin universe), Data, Dr. Crusher, Deanna Toi, Wesley Crusher, Sisko, and Nero. I’ve filled in some blanks that are behind the scenes in the universe, and that was a lot of fun. JONATHAN: For the past three and a half years, Vance, you’ve been a fan film-making machine! And now you’re stepping away completely. What made you decide to just all of a sudden go “cold turkey”? VANCE: I could have kept going, but there comes a point when enough is enough. I think I’ve told all the stories I need to tell with this character. Realistically I can’t keep putting on the uniform. I’ve got in the story that Minard is a certain age, and so within that time frame, myself as a person, will outgrow that. I can’t keep playing pretend <LOL>, but a few things brought me to my decision. Second, the situation with Starbase Studios has really gotten to me. That place has been home to me, and I’ve dedicated so much of my personal time to it, in one way or another. My nerves have been fried, and I just need space. I love and support those people, but my heart won’t last forever, and I have to take care of myself. So it’s time to step away. People have said that I’ll be back to producing, that this is a publicity stunt, and hey, they can believe what they want. And I’ll always come back for Michael L. King, or a few others, who have never given me drama. But only if the timing is right and the opportunity is there, and only as an actor for that weekend where I’m in and out. My time as a full-on producer / writer / director/ actor/ etc. is finished. I’m a father, first and foremost. And my son comes first. JONATHAN: Yea, brother…we reach on that, man. JONATHAN: Well, Vance, you’ve certainly earned your place in Trek fan film history. What wisdom can you impart to other Star Trek fan filmmakers as they undertake their own projects? What have you yourself learned? VANCE: Why, thank you. I’m not certain I would say I’ve earned a place, but it’s certainly nice to be noticed. I would say honestly to anyone looking to make a fan film: it doesn’t matter if it’s good or bad, make it. When I first came into this field, everyone was so much into the “You can’t do this!” and “That will never work!” and “That’s not true Star Trek!” I took most of those misconceptions and threw them out the window. Take my music, for example. None of my music isStar Trek-ish. But each one fits the theme of the film. And Star Trek has always worked best when it’s simply a story that just happened to take place in the Trek universe. So just tell a good story. Don’t worry about trying to be Trek…or trying to be what others think Trek is. I learned for myself that I really don’t care what others think of my films. My motto is: “I’m the guy with a cord in the doorway.” To me I’m very proud of the work we did on every film, including the flaws. In fact, most don’t realize I left the flaws in most of the time because it didn’t detract from the story. Things like that kept me humble. And I enjoyed learning how to do things with CGI and with my editors. As I said, I’m very proud of the work we did on all 30-plus films. JONATHAN: And finally, what does the future hold for Vance Major? 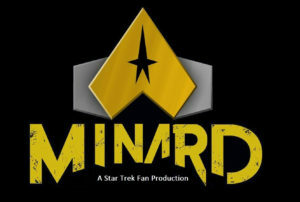 Even though you’ve completed the Minard saga, you’re still planning to release an Orville fan film, right? Does this mean you haven’t gone cold turkey after all? What other plans do you have? VANCE: Oh no, as far as producing Star Trek fan films, I’m done. Never bathe in the same river twice, y’know? 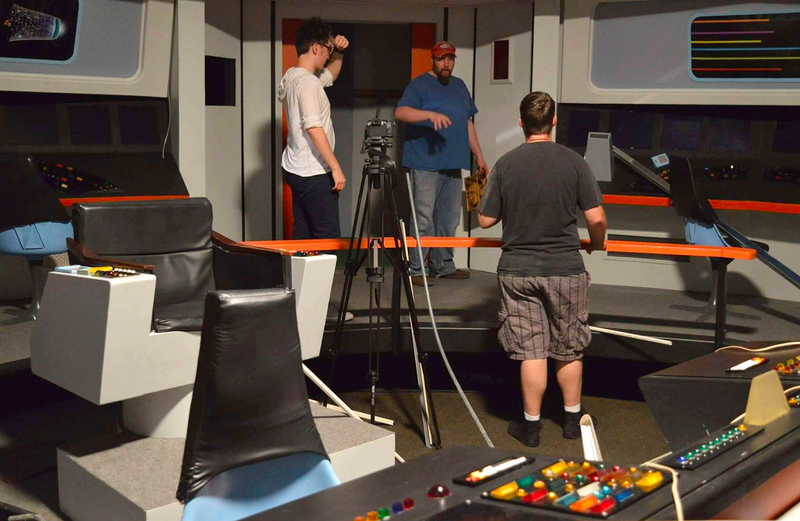 I’ve said all I need to say, so I’ll never produce another Star Trek fan film. 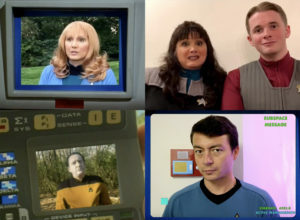 My Orville fan film, called the Marianas Trench, is due the week after my final Star Trek fan film and is in the same vein as Pen Pals. Marianas Trench was fun to do and my last little nod to these fan films before I do finally bow out. I do have an independent film bring released March 5th. It’s a sequel to my zombie film Dead Inside. This one is titled The Corner of Longview. In a few months I plan on shooting an alien abduction film called Uninvited. Then I plan to return, at some point, to the RLSH-inspired film that I did called Pursuit with a follow-up. So I have plenty to keep myself busy when I’m not working 72 hours a week! And it’s stuff I can do at my own leisure while focusing on being a father. None of my independent projects take more than a day to do, so all of these are very exciting for me to tackle. Honestly, I just look forward to relaxing and some quiet time with my wife and son. I’ve spent 4 years in one of the best adventures one could hope for, with a character I deeply enjoy playing. The one thing I’ve noticed is everyone is so concerned that I’m leaving. But I don’t think that’s as important as the fact that I did it to begin with. I don’t think it’s important that I’m leaving. JONATHAN: Well, we’ll still miss ya, V-Man, and we’ll miss your Minard fan films. Don’t be a stranger! 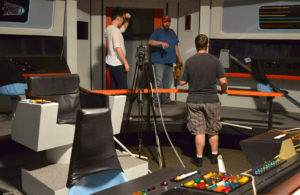 LEXINGTON ADVENTURES: RISE OF THE TRIBBLES – Take a look at a hidden part of history and share in part of the Lexington Adventures. WITHOUT REWARD – After the death of his wife Emily, Minard comes face to face with someone who understand his loss all to well. GEMINI – When a boy from the future comes to be known, Minard enlists his network to help him prevent the quadlithium from falling into the wrong hands. PERSONA – “Persona” means “the mask or façade presented to satisfy the demands of the situation or the environment and not representing the inner personality of the individual; the public personality.” It is often used in plays and novels. CHANGE – On the eve of retaking Deep Space Nine from the Dominion forces, one distress call changes everything for Captain Minard. FULL CIRCLE – After the loss of her mentor, a newly Captain Xing pays her final respects and finds her true destiny. THE BEST THINGS – Following an attack by the Sucullon, an orphaned boy changes the life of Minard forever. Production values aside, the story (if one is willing to look past the flaws) is rich and worth exploring. This is a true trek value story that deserves to be acknowledged. From the point of view of a command engineer, he never “Mary Sue’d/Gary Stu’d” his character, but kept it on a personal level about the journey of one man on a starship and his personal experiences in that role, at least that is what I took away from them. Godspeed and damn the photon torpedos Chief!